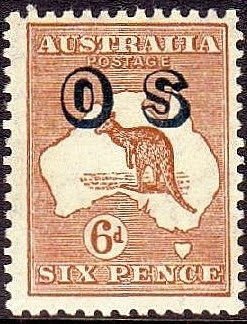 From 1932-'33, Australia overprinted six stamps "OS" (for Official Service), creating a set of Officials (Scott #06-11). 48,000 sets were issued, and Scott '14 prices the unused set at $148.75 ($275.- for NH) . 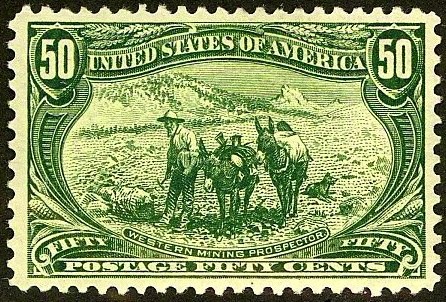 In all likelihood, many were used as postage by various government offices and discarded. While I sometimes advise obtaining expertization for overprinted issues, it's not necessary in this case because the Officials are not worth considerably more than the basic stamps. I favor all better stamps of Australia. As a a prosperous nation of 22 million people, it has a diverse economy, with thriving service, agricultural, and mining sectors. Annual GDP growth has averaged 2.6% over the past 15 years. Recently, there has been considerable growth in mining and petroleum extraction, in part due to increased exports to the resource-hungry Chinese market. Furthermore, it is likely that Australia's stamp collecting population will grow significantly as the nation ages. The percentage of Australians over 60 is projected to rise from 16% in 2000 to 24.8% in 2025, and 28.2% in 2050.